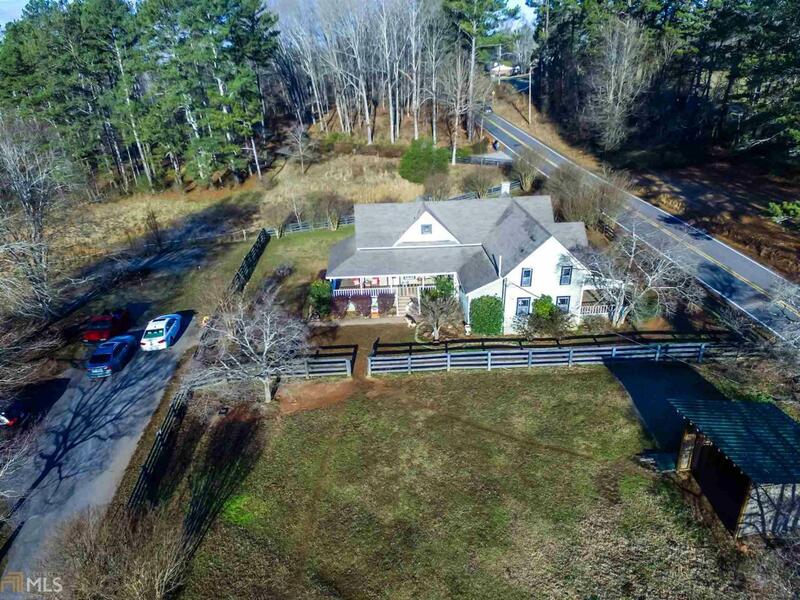 Beautiful Horse Farm on 9.17 acres with a 1908 Farmhouse. 4 separate fenced paddocks for animals and a Red Barn/stable with 4 stalls and a feed room. pond on the back of the property. The 1908 farmhouse features hardwood floors, oversized master on the main, huge dining room, Kitchen, wrap around porch, fenced area that is around the house to keep your dogs or kids safe, hay shed for the animals, entire pasture is level and ready for your horses. Very close to Milton, Alpharetta, Canton, and Woodstock. Hm is perfect to add more bathrooms or extend for more bedrooms.